These 3" shotshells are a great way to set up your Taurus Magnum Judge for home defense or simply for blasting away at the range. 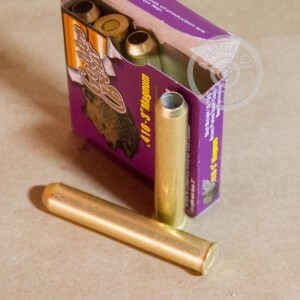 Each shell fires five pellets of #4 buckshot at a muzzle velocity of 1,017 feet per second. This ammunition should only be used in firearms that can accommodate 3" shells. 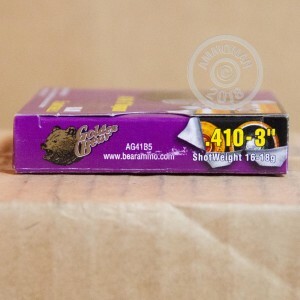 This ammunition is made in Russia by the Barnaul Machine Plant and comes in boxes of 5. Grab everything you need at AmmoMan.com and get free shipping if your order total exceeds $99!